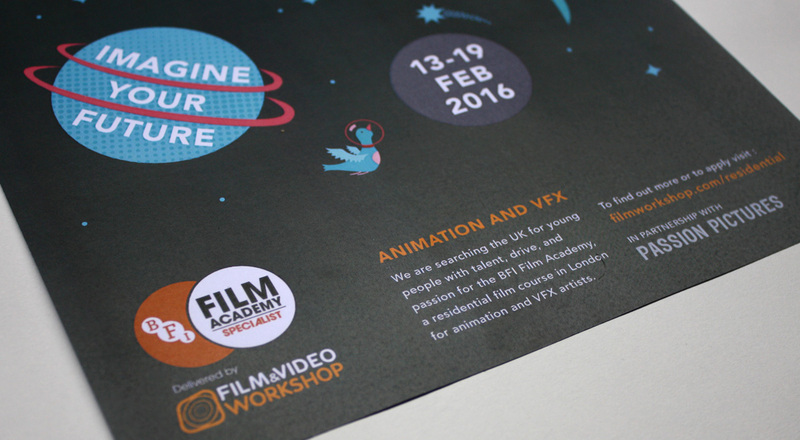 The BFI Film Academy is a highly acclaimed annual course for the top 40 animation and visual effects artists in the UK, aged 16 – 19. 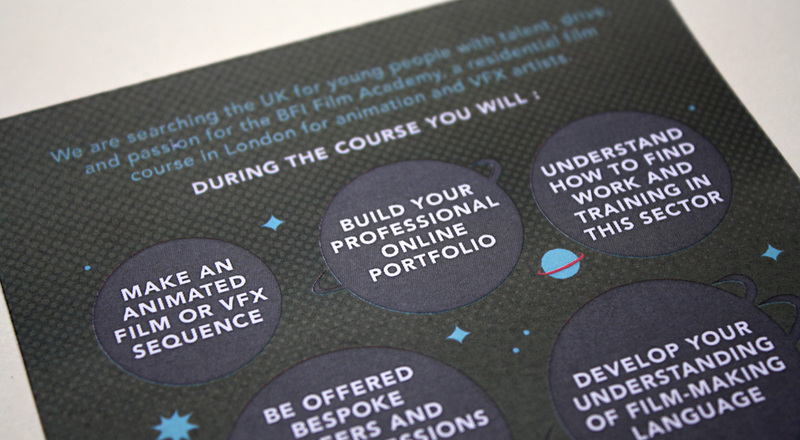 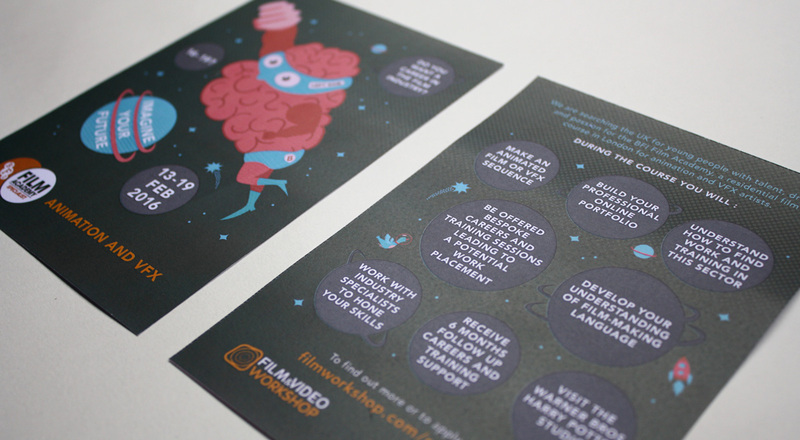 We were approached by The Film And Video Workshop to design a poster and postcard to promote this sought-after course in schools and colleges across the UK. 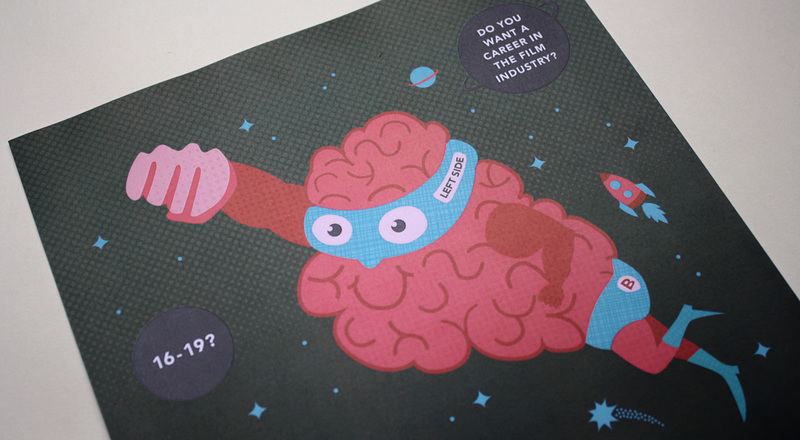 We created our character, Superbrains, inspired by the tagline “Imagine Your Future”. 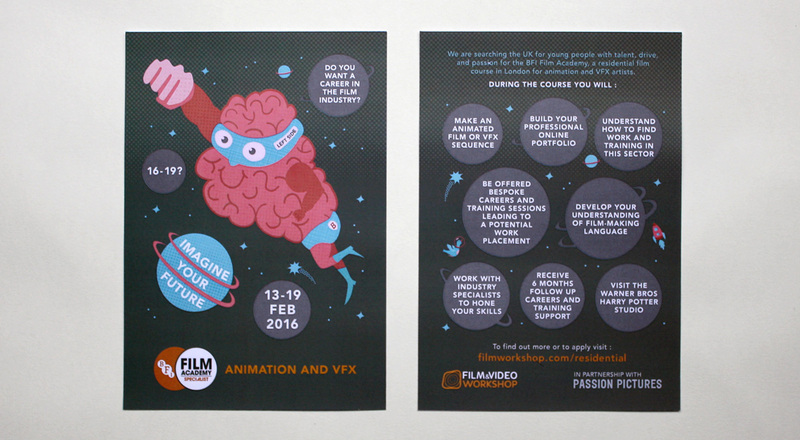 We hope it will encourage potential applicants with it’s suggestion of creativity, fun, knowledge, imagination and achievement.